Anyone growing up in the 80’s and 90’s remembers watching the Teenage Mutant Ninja Turtles cartoon shows and movie-adaptations. 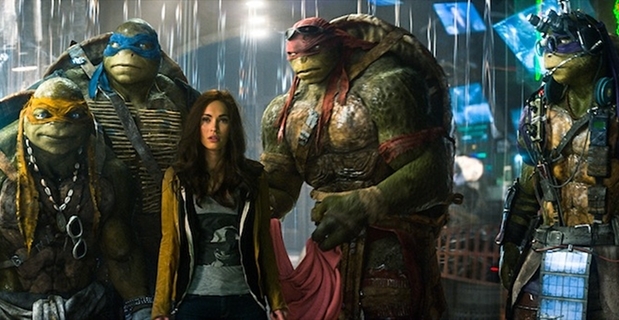 I recently watched the Michael Bay reboot of TMNT, and as a storyteller I was assaulted by problems that made me cringe. But first a disclaimer. I know TMNT is not Citizen Kane. I know it’s cinematic cotton candy. I’m aware that compared to the original series, it is equally silly. My problem is in use of LAZY plot conveniences. Alright, let’s get down to it. Shredder comes to the Turtles’ lair and captures 3 of the 4 in the best fight-scene the movie has to offer (which, sidenote, it doesn’t feature enough of). April stabs Shredder in the back and “hides.” Shredder tells his cohorts to destroy the place and leaves with the 3 Turtles. They blow the place up. All of this is fine. But then next scene April is free. Okay, maybe I missed something, but why didn’t she get captured by the Foot Clan or hurt in the explosions? She stabbed Shredder in the back, you’d think he’d want to get her too. Whatever, fine, that’s the least of my worries here, because how does Raphael find the others? BY USING A FUNCTIONING COMPUTER SYSTEM IN THE VERY PLACE THAT WAS BLOWN TO HELL. Of course they get rescued (which is fine) and know exactly where/when/how to stop the bad guy (not fine). I know it’s a cliché to explain the evil plan to the going-to-be-elaborately-killed-hero(es), but it’s a cliché that has no place in this movie. 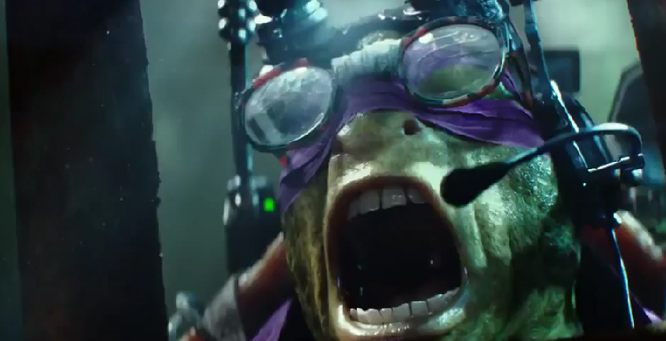 I’m honored to give Michael Bay’s TMNT the first ever EXAMPLE-OF-BAD-STORY-TELLING award. Which book/movie do you think I should award next?